Simon started his career the Leicester City, without making the first team. 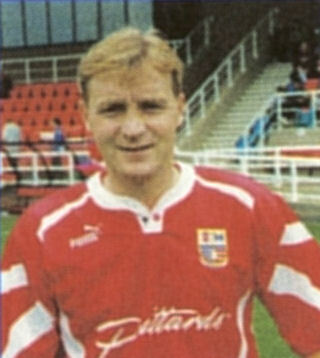 He went on to play for Shepshed Charterhouse and Leicester United in 1986, before joining Aylesbury United in June 1989. He was in the Ducks side which held Northampton Town to a goalless draw in the FA Cup 2nd Round in December that year. He remained with the Ducks for five seasons, joining VS Rugby in the summer of 1993. Simon arrived on a short term deal (3 months) from VS Rugby in August 1994, his deal not being renewed. He returned to VS Rugby where he remained until the summer of 1996. He is believed to have spent a short spell with Rothwell Town after leaving Rugby. No further record of his involvement with the game has been found through to 2018.